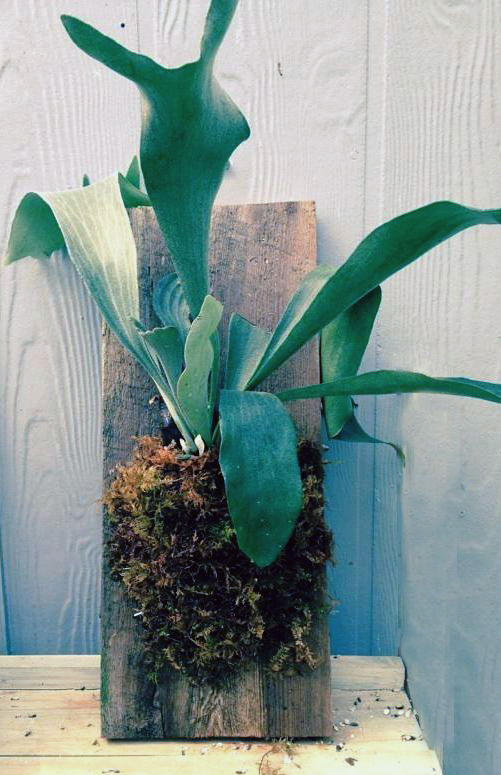 A staghorn fern mounted on a rustic plaque is one of the intriguing floral crafts you can make in the series of classes to be held this fall at Lockwood’s Greenhouses, 4484 Clark St., Hamburg. 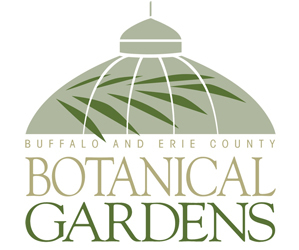 In this hands-on workshop, Becky Watts, CNLP, garden consultant at Lockwood’s, will show you how to mount the fern atop a base made from wood reclaimed from Lockwood’s greenhouse benches from the 1940s. You can hang the finished piece on a wall. This workshop will take place at 1:30 p.m. Sunday, Sept. 28 at Lockwood’s. Please take a pair of gloves and wire cutters. You will leave with one mounted staghorn fern on wood along with a sheet on how to care for your plant. The class is limited to 20 people and the cost $30 per person. To register for the staghorn fern workshop, go online, stop into Lockwood’s or call 649-4684. This is another new class. You’ll be creating a 5- x 7-inch living work of art in a framed box with succulent cuttings. You can keep the box as a table decoration or hang it on a wall when the cuttings have rooted, which takes about three weeks. The class is limited to 20 people. The cost is $30 and includes all supplies. To register for the succulent wall hanging workshop, go online, stop into Lockwood’s or call 649-4684. Create a beautiful pumpkin centerpiece that will last for four months or more. 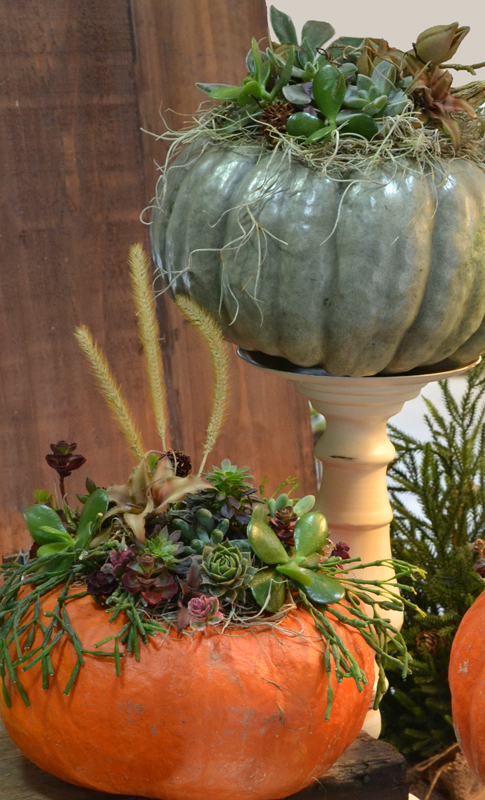 You’ll learn how to decorate a pumpkin with succulent cuttings and moss. The finished product will shine on your table for the entire autumn season, then, after rooting in the moss, the cuttings can be transplanted. Not only do you have a beautiful centerpiece, you get plants to grow on your windowsill. The class is limited to 15 people. The cost is $40 and includes pumpkin, plants and a care sheet. Register online for the pumpkin centerpiece workshop, stop into Lockwood’s or call 649-4684. This is the second time for this workshop. If you can’t make the previous one, you can attend this alternate time. This class is so popular that it will fill up fast. The cost is $40 and includes pumpkin, plants and a care sheet. Register online for the Oct. 5 pumpkin centerpiece workshop, stop into Lockwood’s or call 649-4684. Panicle hydrangeas change colors from white to green and pink in the fall. 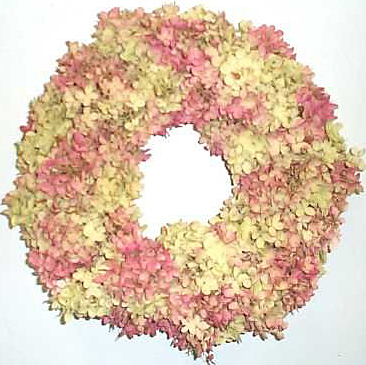 You’ll use these beautiful fresh flower heads to create a stunning hydrangea wreath. The blossoms will dry and fade to even more remarkable shades that will last long after they grace the landscape. Designers Becky Watts and Mary Trifunovic will show you step by step how to make this gorgeous piece for your own home. Space is limited to 24 people. The cost is $45 and includes all supplies. Register online, stop into Lockwood’s or call 649-4684. 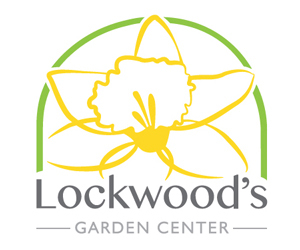 Lockwood’s team will walk you through the steps of how to create your own fairy garden with legends and lore. With their large selection of plants grown on site, you will learn what type of plants work best in miniature gardens. Then let your imagination go wild on placing items into your scene. This workshop is great for both adults and kids. Kids will especially enjoy a snack and visit from Tinkerbell. The class is limited to 20 participants and includes the box, plants and potting mix. Additional decorations are available to class participants at a 20 percent discount. Cost is $40. ANY CHANCE of additional Stag Horn Fern classes.to be offered after the holidays? REALLY want to do this! We don’t have any plans at this time to do the Staghorn workshop. Becky is no longer working here and she was the one who taught the class. I will mention it to the new person in charge of the houseplants. Make sure you sign up for our emails on the website so you will get the information if we are able to schedule the class again.